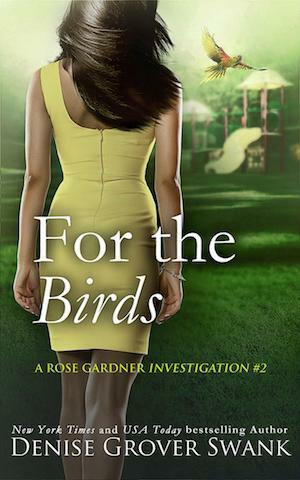 Rose Gardner is trying to build a new normal. One that leaves the Fenton County crime world—including James “Skeeter” Malcom, the current king—behind. Her best friend and roommate is a big part of that effort, but Neely Kate is busy building her own life anew. 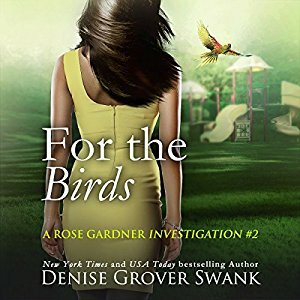 She disappeared for a few days, scaring the spit out of Rose—which is why Rose finds it impossible to deny her when she suggests they look for a missing parrot. Only this time Neely Kate isn’t interested in the reward money; she’s set them up to work with a cranky private investigator known as Kermit the Hermit. Rose sees it for what it is: another bid for them to become private investigators. If nothing else, it’s a good distraction…until one of James’s nemeses, Buck Reynolds, comes calling for help. James’s brother has gone missing, and Reynolds is number one on the crime king’s suspect list. Only, according to him, he’s innocent. Rose had promised herself she was through with the crime world, but she wants to see his James’s brother safe. Besides, can she really say no when she might be the only one who can keep order in the county?